for the post of Trainee Analyst. Those candidates who want to do work in this organization they are advised to apply for MPEDA Recruitment by appearing in MPEDA walk-in on due date and venue. 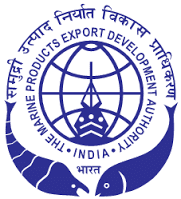 Energetic and capable job searchers are required to open official website of Marine Products Export Development Authority to know more about walk in interview easily. Salary will be as per new rules of all recruited job contenders. Good personality and proper knowledge having appliers will be appointed on the basis of walk in interview only. More details attached with walk-in way for MPEDA Recruitment are shown in below section of web page for all the readers of this web page. Appliers should reach to attend walk-in from 10 to 17th August 2018 with all significant documents/ certificates to the below given address. Other reputed jobs by Marine Products Export Development Authority will be updated on mpeda.gov.in which is official website of this organization so check this site time to time. Desirable appliers may also get other types of jobs’ from this web site. Show all the eligibilities to grab this great job chance in government zone. Best of luck! For other connected info of MPEDA Recruitment please read complete page. Educational Qualification: Job seekers must have M.Sc in Chemistry / Analytical Chemistry / Physical Chemistry / Polymer Chemistry / Applied Chemistry / Pharmaceutical Chemistry / Hydrochemistry / Bio-Analytical Science / Biochemistry / Industrial Biotechnology/ Biotechnology. Age Limit: Applicants age must have maximum 35 years. Pay Band: Recruited applicants will get pay scale of Rs. 18000/- Per Month from organization. Selection Process: For selection on applied position you need to crack walk-in interview. Appliers will have to visit the official website of organization that is mpeda.gov.in. On the home page, go to suitable link and open it. Read all the info related to walk in interview. Collect all important documents / certificates. At last, candidates are required to take part in walk in interview at exact venue which is available above.